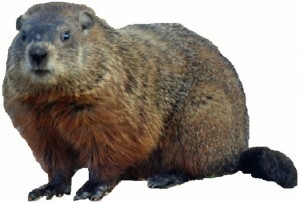 Groundhog or woodchucks can be live trapped or kill trapped and removed. Common burrow areas groundhogs nest are next to foundations or under decks. The digging can have a shift or drop effect causing foundation failure. Groundhogs up to five entry exit points for their up to 50 foot long tunnels. A burrow is inside the tunnel for the groundhog living quarters to sleep. Repellants simple do not work. Old wives tails of moth balls and the sure cure for all critters is coyote urine, NOT! I have never seen coyote urine work for any animal that is already nested. During my sixteen years of experience coyote urine is not effective enough to keep away any animal for good. Wildlife Removal should quick and successful enough to cause not serious trama to any animal. If kill traps are used then they need to work immediately once the animlal has entered the trap. No suffering but quick and efficient. If live traps are used then nonharmful traps should be in good working order to not harm the animal.